There aren’t many places away from home where absolutely everything has been designed to make your very important little person very happy. But there is one. And that’s Butlin’s. Just like the mums over at Channel Mum, we know that looking after a tot can be a full time job. So we surprised two Channel Mum vloggers with a special Just For Tots break at Butlin’s, not only to give these mummies and their families a chance to enjoy a family break designed especially for little ones, but also to challenge perceptions. Our Just For Tots breaks have been created especially for families with children under 5 so absolutely everything has been considered with tots in mind. From early starts and wake up activities to get their blood pumping, to earlier dining times and bedtime stories to send them off to the land of nod after a long day of adventures. There’s cosy reading corners to relax in, creative Play-Doh model making sessions, swimming lessons, even Balanceability lessons which encourage your tots to brave it on two wheels. They’re incredibly fun, all the while teaching and emboldening your little heroes. The tots break was revealed to Channel Mum’s Alex aka Bump to Baby and Jess aka Lilypod and Sweetpea, through a secretive golden envelope, ooo! On learning she’d be holidaying at Butlin’s, Alex hoped there would be lots to keep the children entertained, “because as a parent we’re happiest when they’re happy”. 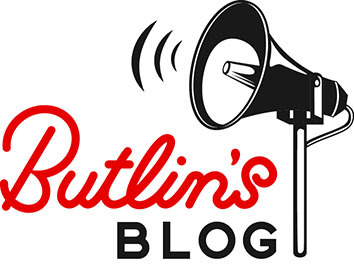 But Jess who’d never been to Butlin’s before said, “all I think of when I think of Butlin’s is 80s weekenders. I’m going to go at it with an open mind.” Perception changing challenge accepted! Alex and Jess filmed their breaks at Butlin’s Bognor Regis, taking us on their journey with them. From snippets of Little Tikes Town, their boys soaring high at the Tots Funfair, breaking a sweat in the soft play area, giggling at the 3D shows, and eating up all the delicious food in the restaurant, it was clear to see how much fun they were having as a family. Over the last month we’ve had some incredibly exciting news to share with you all. If you follow us on Facebook, Twitter and Instagram, you’ll know that from 2017, we’ll be welcoming Justin Fletcher to our three resorts on selected Just For Tots breaks, as well as on our brand new Just For Tots Weekend. You’ll also see the Teletubbies on resort from the New Year (I know, I can’t believe it either!) plus new shows from the Skyline Gang and our favourite pair of bears Billie & Bonnie. Your little’uns will be truly star-struck meeting their heroes. Any parent with a young tot is bound to be familiar with the jingle and colours of Mister Maker from CBeebies. 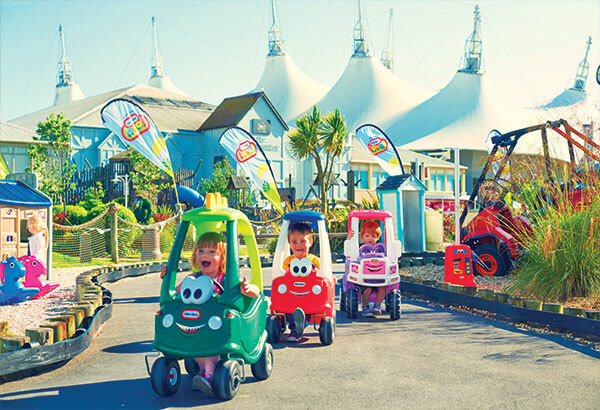 At Butlin’s we’ve been lucky enough to have the man himself joining us on our Tots breaks to give your little ones that extra spark of creativity. 4-year-old Georgie said “it was the best show I’ve ever seen!” Giggling, she explained how excited she was to see her Mummy go up on stage to put on a silly hat that Mister Maker made! 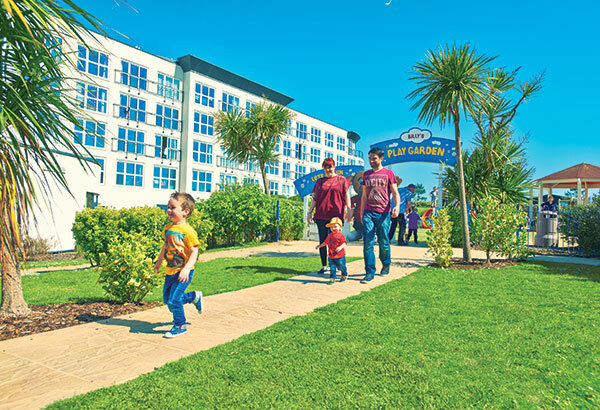 Waking up at Butlin’s feeling lively, refreshed and ready to start the day is so important for the whole family. With the help of our favourite bears, your tots can start the day right and get those muscles moving at Billy and Bonnie’s Wake Up Work Out. Billy and Bonnie take the whole audience on a whistle stop tour around the world to play some of their favourite sports from their favourite countries. First, we took a trip across the pond to the United States of America where we learnt some cheerleading moves. Give me a B… Give me a U… Give me a T… Give me a L… Can you see where I’m going with this? Then we shot up north to the Arctic Circle where the Redcoats and Bonnie taught us how to ‘skate’ and glide across the ice. We visited Australia where we hit the waves and learnt how to surf and swim, and finally finished our workout in China where Billy and our Redcoats demonstrated the art of TaiChi. After we’d cooled down, one Dad told me “it was a fab way to start the day!” and even admitted to having a little dance himself. His little boy was way too busy dancing along to Billy’s singing to tell me what he thought! To view the full Channel Mum video of Alex and Jess on our Just For Tots breaks, click here.